Rayudu had a torrid time of late in the international circuit. India are the two-time World Champions in 1983 and 2011 respectively, and a lot is expected of them in the World Cup, which is scheduled to start on Thursday, May 30 in England and Wales. The Men in blue will play a couple of warm-up matches before they take on South Africa in the first game against South Africa on Wednesday, June 5 at the Rose Bowl in Southampton. In the meantime, the squad has been announced by the Board of Control for Cricket in India (BCCI). MSK Prasad, the chief selector and Amitabh Chaudhary, the BCCI’s secretary, made the squad announcement. 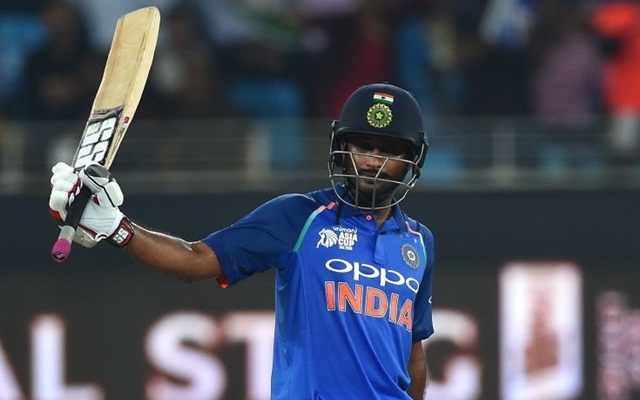 One of the major exclusions from the team was Ambati Rayudu, who was mostly in contention for the number four slot in the Indian lineup. He came into the contention after his stupendous performances for the Chennai Super Kings (CSK) in the 2018 edition of the Indian Premier League (IPL). He was picked for the England tour but missed it as he failed to pass the yo-yo test. Nevertheless, the Guntur-born cricketer made his comeback in the 2019 Asia Cup in the United Arab Emirates (UAE) where he did well. Rayudu was good against the Windies and he was almost considered as a certainty in that slot. Unfortunately, times started to change for the experienced campaigner. He flattered to deceive in Australia and was eventually sidelined from the One Dayers. But he made a comeback in the ODIs of New Zealand and he churned out an impressive knock of 90 in Wellington. Rayudu thereafter played the ODI series against Australia and could only manage scores of 13, 18 and 2 in Hyderabad, Nagpur and Ranchi respectively. Subsequently, he was dropped and India tried out others in that position. He has also not been at his best in the ongoing edition of the IPL. In the meantime, the fans and supporters on Twitter expressed their opinions about Rayudu’s exclusion. Pretty harsh on Ambati Rayudu. KL Rahul has hardly had ODI opportunities. He is there only because India want a reserve opener. He was out of Form in last matches but did enough to get a place in world cup! Why Ambati Rayudu not taken in team? Such a poor team selection for Indian Cricket #WorldCup2019 Playing 3 spinners in England pitches not worth. Also #Shankar over #Rayudu and #Pant totally waste @BCCI #BCCI .. Pant should have been included, quite a surprise for everyone..